Phone Carriers Kill the Cell Phone "Kill Switch"
Earlier this year, San Francisco Attorney General George Gascón launched a countrywide effort to get remote “kill switches” installed on all cellphones sold in the United States. The idea is this: If your phone gets stolen, you could send a signal to it remotely that would permanently disable the device. Why? According to emails reviewed by Gascón, it all comes down to money – specifically, the money to be made selling anti-theft phone insurance policies. Market research firm ResearchMoz estimates phone insurance is a $30 billion industry in 2013. 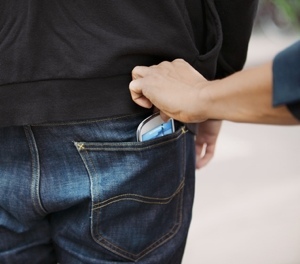 A drop in phone theft would almost certainly correspond to a drop in industry profits. Of course, cell carriers see things differently. They argue that a kill switch could be a dangerous tool in the hands of hackers. Carriers instead favor a nationwide stolen phone database, though the database does little to combat stolen phones being sold overseas. Even in the face of monolithic opposition, however, Gascón refuses to back down and give up on the idea. “We are now evaluating what course of action will be necessary to force them to prioritize the safety of their customers over additional money in their pockets,” he added.